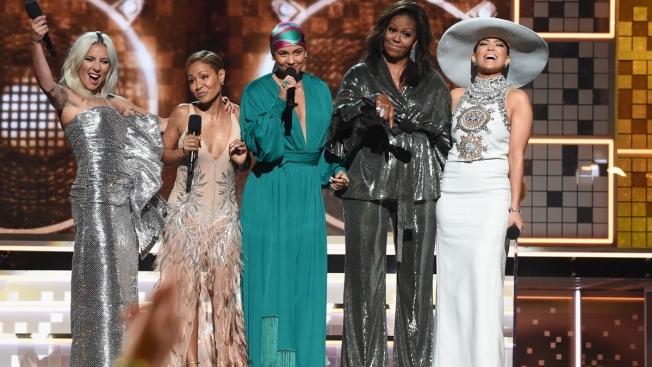 (L-R) Lady Gaga, Jada Pinkett Smith, Alicia Keys, Michelle Obama and Jennifer Lopez speak onstage during the 61st Annual GRAMMY Awards at Staples Center on February 10, 2019 in Los Angeles, California. The former first lady took to Instagram Wednesday to share two images of a text exchange with her mom Marian Robinson. Obama had received a standing ovation opening Sunday's awards show with Alicia Keys, Lady Gaga, Jennifer Lopez and Jada Pinkett Smith. Robinson wrote: "I guess you were a hit at the Grammys." Obama asked if her mom had watched. Robinson replied she saw it then asked if her daughter had met "any of the real stars." 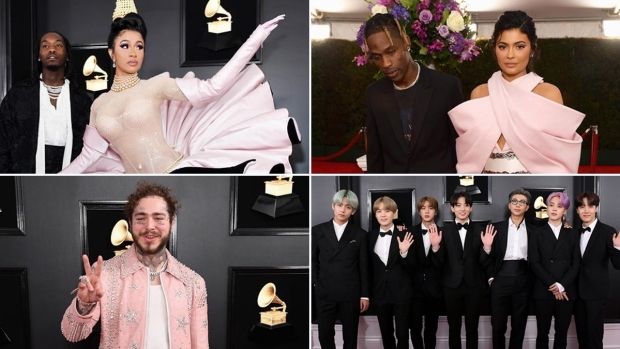 It was a night of snubs and surprises at this year's Grammy awards - mostly from guests and nominees. 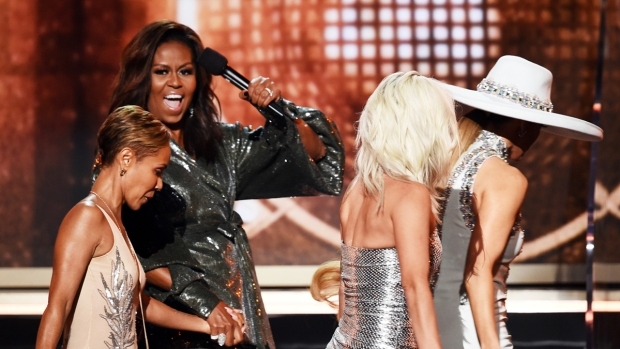 Former first lady Michelle Obama helped open the show even as Ariana Grande's refusal to attend overshadowed much of the night. Kacey Musgraves took home Album of the Year as Childish Gambino beat out Lady Gaga for Record of the Year. The pair next quibbled over whether Obama had told her mom she would be on. "I would have remembered that even though I don't remember much," Robinson wrote. Women Dominate Grammys Nominations, But Will They Win? Obama ended the exchange by writing, "And I AM A real star...by the way..."